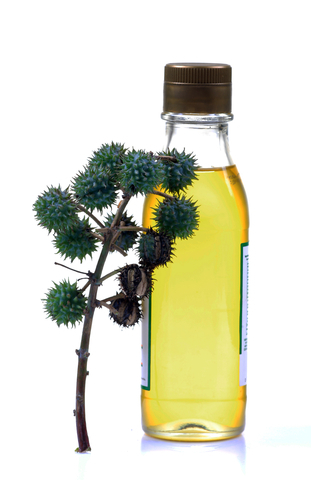 Jamaican Black castor oil is the name of pure castor oil obtained from roasted and boiled castor beans which are then pressed to release the oil. The manufacturing process explains why Black Jamaican castor oil is not clear like other pure castor oils, but dark brown. The roasting process generates ash, which brings an important contribution to the hair treatment function of the oil. Ash makes Jamaican Black castor oil better than clear oils. It is also more expensive, but if you learn how to use Jamaican Black castor oil properly, you won’t be sorry for paying more, because the benefits will be there for you. Jamaican Black castor oil works on all types of hair. It moisturizes and nourishes the hairs, making them stronger and preventing split ends. For best results, the oil needs to be applied daily on the scalp and on the hair roots. Using your fingertips, massage the oil gently into the scalp. It’s best to apply it in the evening, before going to bed. As it is easily absorbed into the scalp, the oil doesn’t leave stains on your pillow. Another method of using this supplement as a hair treatment is to apply it hot, on the entire length of the hair. Since this operation can be a bit messy, it is advisable to do it once a week, preferably on the weekend. Apply a generous amount of oil and massage it thoroughly in your scalp and in your hair. Cover your hair with a shower cap and let the oil sit for about half an hour. When you’re done, wash your hair with a mild shampoo. There’s no need for a conditioner, as the oil softens the hair in a very nice way. Used regularly, Jamaican Black castor oil will make your hair naturally shiny and beautiful and will stimulate its rapid growth. Jamaican black castor oil benefits are unlimited. You can use this oil for other purposes, such as treating acne, eyebrow and eyelash growth or alleviating arthritis pain. When using it for eyebrow and eyelash growth, apply it with a Q-tip or a small, soft brush and massage it gently, then rinse it with warm water. When using it against acne, the oil needs to be applied on your face after steaming. If you don’t have a cosmetic steamer, simply boil some water in a pot, then cover your head with a big scarf or a towel and allow the steam to hit your face. Steaming will open your pores, therefore the Jamaican Black castor oil treatment will be more effective. Apply the oil on your face and gently massage it into the skin with circular motions. Relax and wait for a few minutes, then wash off the oil using warm water. At the end of the procedure, you should splash your face with cold water, so that the pores close, otherwise they will clog. 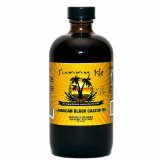 If you don’t know where to buy Jamaican Black castor oil, check out our website, as well as specialized natural product stores. Avoid buying from supermarkets or private persons you know nothing about and always check Jamaican black castor oil reviews before purchase.